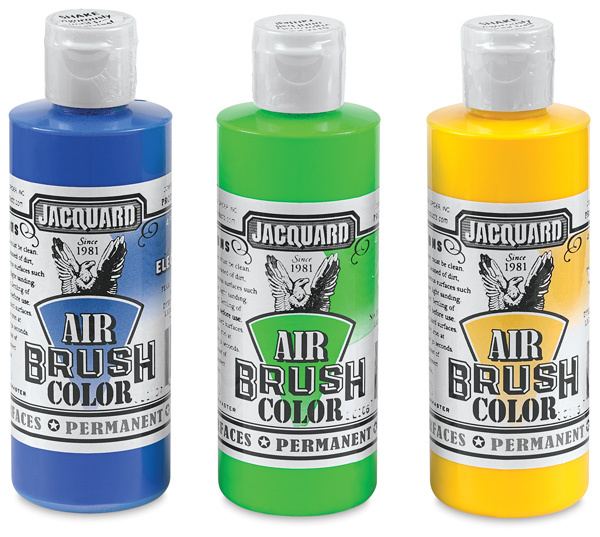 Jacquard Airbrush paint is a rich, paint specially formulated for airbrushing on any surface including fabric, leather, wood, plastic and metal. 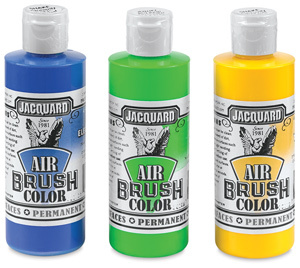 Jacquard colors are bright, clear, and intermixable. Once dry paint is permanent, indelible, and acid free.